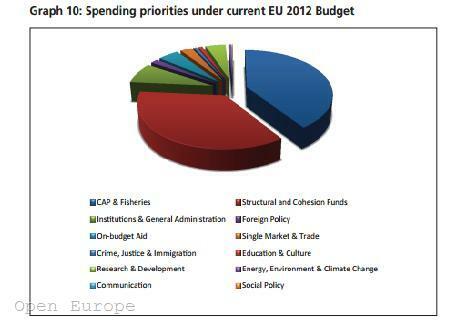 The Next EU budget - More Money but for Whom? 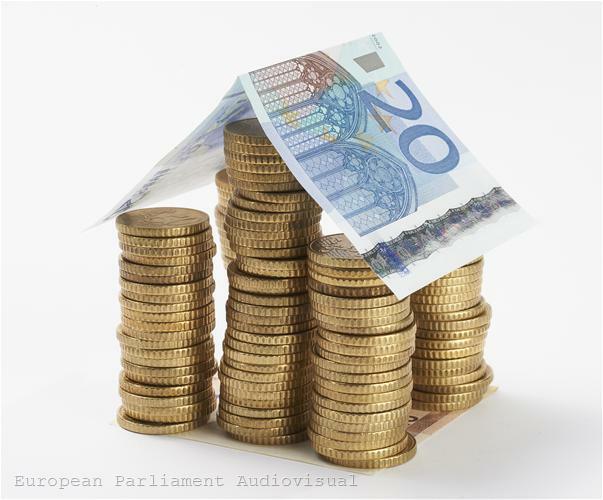 No one is satisfied with the updated European Commission proposal for the next seven-year EU budget (2014-2020), as emerged from the General Affairs Council meeting on 24 July. The reason is that, on the one hand, the overall budget is increased, compared to the original proposal, and on the other, money for the cohesion policy is reduced. According to the Commission, the update is needed for several reasons: to add funds for Croatia, which will become a full EU member in 2013; to use new data for regional GDP and national GNI which results in a recalculation of the regional and national allocations under the cohesion policy; taking into account the most recent macro-economic forecasts of Spring 2012. The funds for Croatia in the Multiannual Financial Framework (MFF) 2014-2020 amount to 13 billion 441 million euros in commitments and payments of nearly 10 billion euros. The revised MFF proposal sets an overall ceiling of 1,033 billion euros in commitments as opposed to 1,025 billion euros in the original proposal. 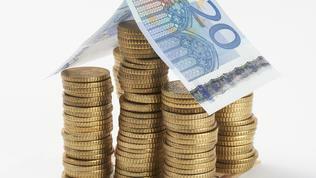 In payments, the amended proposal amounts to 988 billion euros as opposed to 972 billion euros originally. However, this is not the size of the budget but the expenditure ceilings - the budgets themselves are adopted each year and are always below the agreed ceilings. The increase, as a percentage of the EU's GNI, largely stems from a lower GNI estimate than in June last year, and, to a lesser extent, from the inclusion of Croatia, the Commission explained. 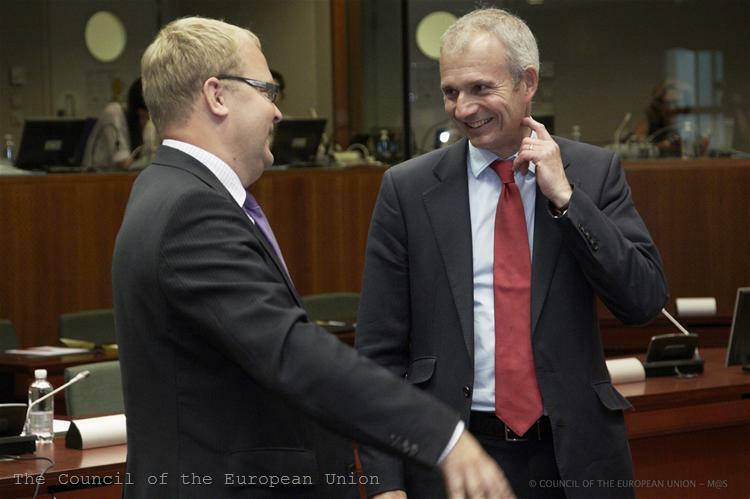 During the General Affairs Council meeting, EU Budget Commissioner Janusz Lewandowski tried to convince the member states that it was a "really absolutely mechanical" amendment of the proposed budget. However, he admitted that because of the use of new indicators to calculate cohesion policy allocations there was a decrease of 5.5 billion euros for countries with capping rule. As euinside repeatedly wrote, the ceiling of 2.5% of GDP for cohesion policy allocations is one of the most painful issues for the new member states, especially in crisis times, when GDP falls. 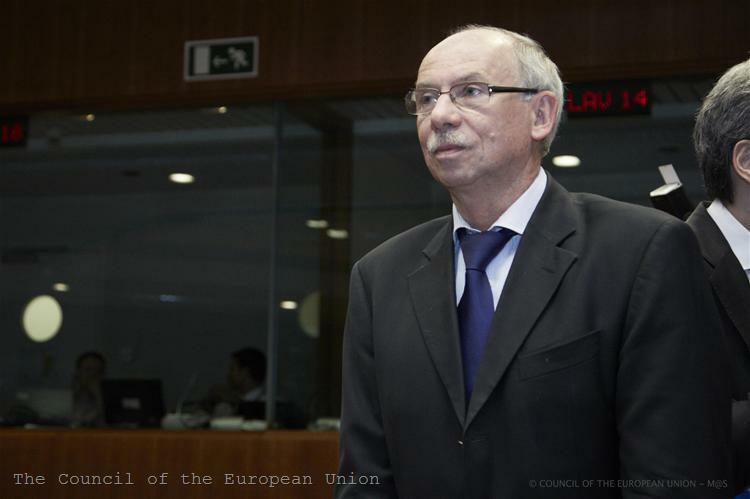 "Hungary is by far in the most disadvantageous situation after this update. Altogether we will face close to 30% reduction of our cohesion allocations and it is politically unacceptable for a member state whose level of development is forecast to remain well below 75% of the EU average This goes against the Treaties, the European Council decision of June and the logic of cohesion policy. This is a mater of principle and not just a matter of money," Eniko Gyori, Hungarian State Secretary in the Ministry of Foreign Affairs angrily stated. Bulgaria, in the face of its permanent representative in Brussels Dimitar Tzanchev, said that although the country was among the strongest supporters of budget discipline, it did not consider that budgetary savings in the member states should affect the size of the EU budget. 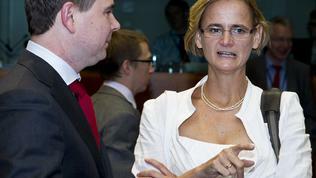 Sofia again announced that it was against the ceiling of 2.5 percent of GDP for cohesion policy allocations. On behalf of the 15 countries in the "Friends of Cohesion" Group, Poland stated that with this update had been reached the limit of further cuts in cohesion policy. According to these countries, in times of a crisis we need more not less cohesion and therefore the EC decision to cut cohesion money was paradoxical and inconsistent with the European Council decision to recognise cohesion policy as an important tool . 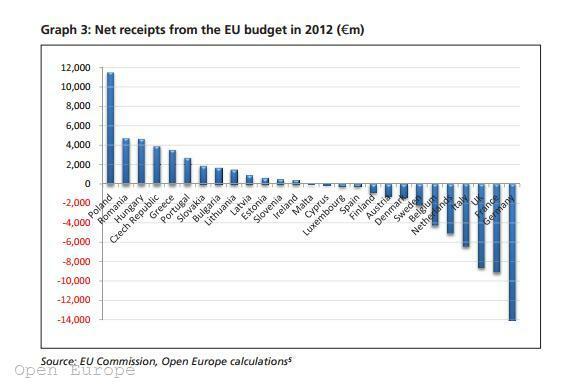 The countries from the opposing camp also accused EC in inconsistency but for another reason - that it increases the costs in the EU budget, while at the same time urging member states to cut their budget expenditures. 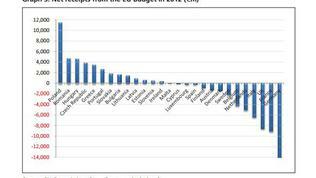 The group called "Friends of Better Spending", which includes net donor countries in the EU budget, calls for a reduction of the budget by at least 100 billion euros, moreover based on the Commission proposal from June last year. Not surprisingly, the UK reacted most sharply against the revised financial framework. "We are not seeking some kind of absurd reduction in the EU budget but we are asking for restraint," said David Lidingston, Minister of State for Foreign and Commonwealth Affairs. "The very most we could accept would be a growth of payments in line with inflation. [...] That is a clear and extremely firmly held red line". In the UK`s view, the additional funds for Croatia should be found by re-prioritising the budget. "A real terms freeze in payments is not particularly austere, frankly, in today’s circumstances this is generous," said the British representative. According to him the Commission`s amendment takes the negotiations backwards and jeopardises chances of reaching a timely conclusion. Germany is also unhappy with the increase of costs in the EU budget. Moreover, according to Berlin, the EC has used rather optimistic forecasts. "The Commission is trying to get away from our consolidation," said Michael Link, State Minister in the German Ministry of Foreign Affairs. The position expressed by the UK and Germany was shared by Sweden, Finland, Austria and other countries too. The discussion clearly revealed that while the negotiations are entering greater depth and more details the last hope for a real reform of the MFF is disappearing, with which the EC presented its proposal last year. Obviously, all tend to maintain the status quo, so if they are not to gain more at least to minimise the losses. 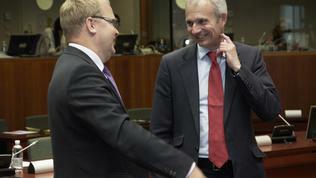 In an analysis of May 2012, Danish Institute for International Studies explained this situation by saying that, while negotiating the EU budget, the countries were guided by narrow national interests and the measure of success in the negotiations was to achieve the best possible deal in terms of money, rather than some wider policy priorities. "In effect, they turn the negotiations into a zero-sum financial game, where any expenditure allocated to a specific country must reduce another’s and where any additional funding for one policy area must reduce the funding in others. With 27 veto powers to appease, there is a strong bias towards the current status quo, with the existing budget seen as the benchmark against which the outcome is compared," DIIS wrote. 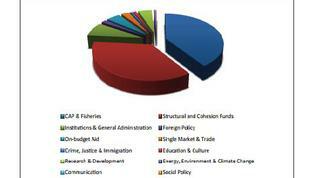 The London-based think-tank Open Europe, in turn, proposed significant reforms in how the EU budget is used. For example, the Structural Funds (the European Regional Development Fund and the European Social Fund) and the Cohesion Fund to return to their core function - to help poorer countries and regions to catch up with richer ones. Currently all countries and regions are allowed to use money from these funds, according to different criteria and for different purposes. This results in two major consequences: first, 40% of the money still goes to the richest countries and secondly, it is difficult, complex and costly to administrate the money. If these funds are restricted to countries with income below 90% of EU average this would make funds easier to manage and 23 or 27 countries would either pay less or get more out of the EU budget, the analysts argue. The catch is that countries like Italy, Spain and Greece would lose from such changes while the EC is trying to encourage the use of structural funds in support of growth namely in countries facing economic difficulties. According to Open Europe, however, the EU funds cannot be used as an instrument to promote growth because they are "too inflexible to respond to changing economic circumstances". The analysts give the example of Spain where 28% of European funds in the current programming period have been allocated in infrastructure projects, "despite over-investment in this sector and the housing bubble being one of the main reasons why Spain is in its current mess." 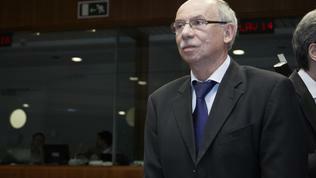 At this stage, however, we will hardly see such radical reforms in the EU budget. Rather, a compromise will be sought between the desire of richer countries to pay less and of the poorer to get more. Positions are still very different but there is a consensus that the MFF should contribute to growth and employment, this is how Deputy Minister for European Affairs of Cyprus Andreas Mavroyiannis summarised the outcome of the bilateral consultations held by the EU Presidency. The next discussion of the next seven-year EU budget will be on 30 August at an informal meeting of the General Affairs Council in Nicosia. The deadline for reaching an agreement is the end of 2012.